Hello everyone, here is part 6 of a series discussing the integration options between ConfigMgr and the Microsoft cloud platform. This series based on ConfigMgr 1810 is recorded by @Steve Rachui, a Microsoft principal premier field engineer. This session focuses on the Cloud Distribution Point. 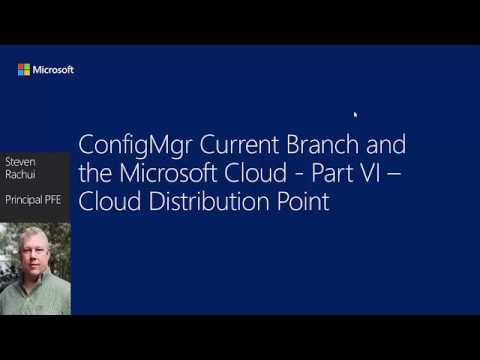 Steve goes through the requirements, restrictions and configuration of the cloud distribution point and then demonstrates the cloud distribution point in action. Next in the series we have the cloud management gateway.